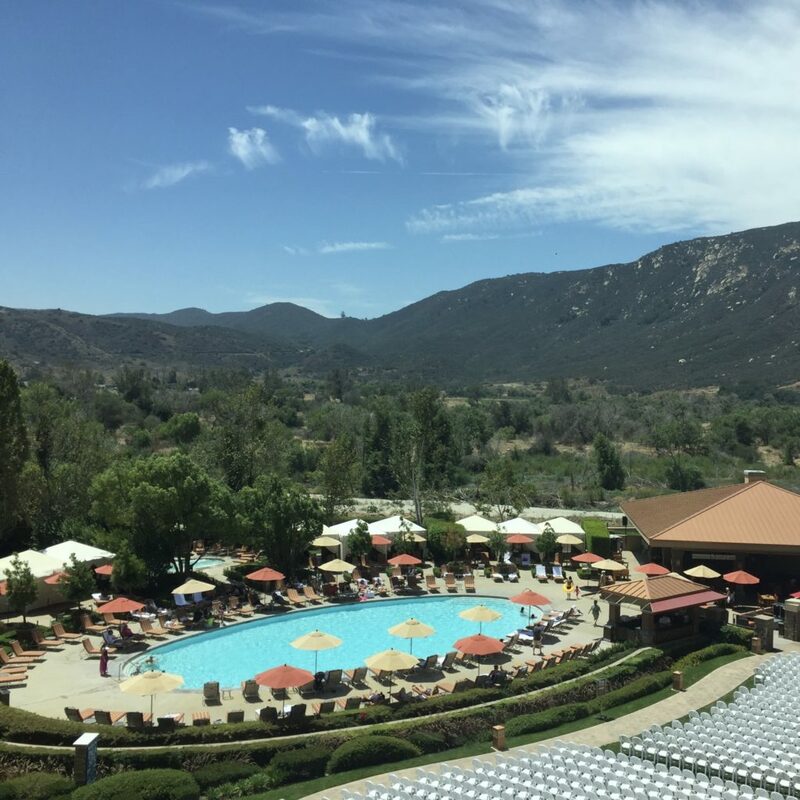 Last week, I had the absolute pleasure of spending two days at the Pala Casino, Spa & Resort, by San Diego. 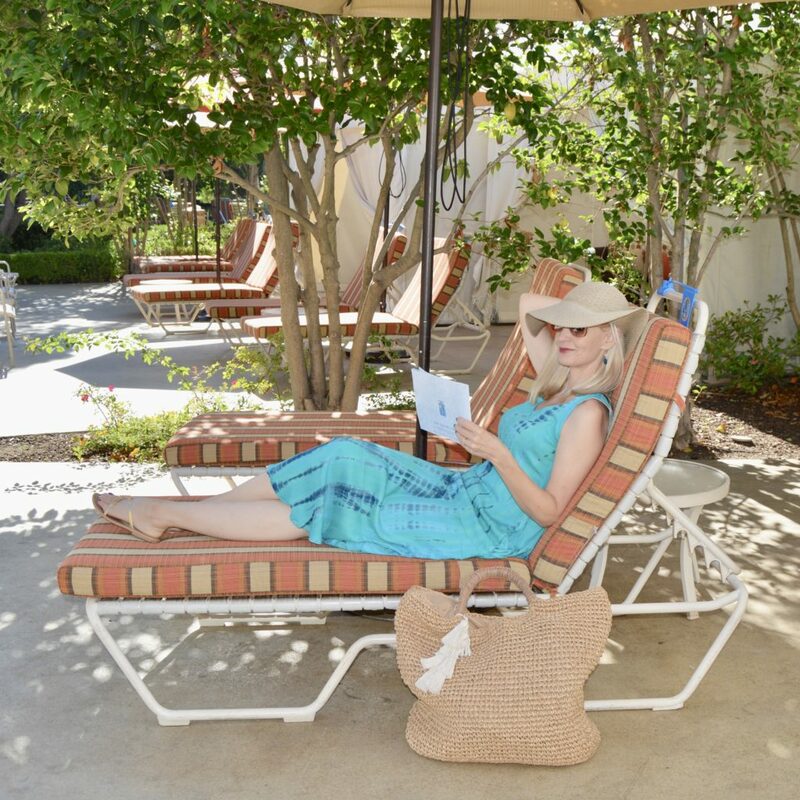 The Pala Resort hosted a blogger’s event to show off their luxe facilities! We all had such a blast checking out what Pala has to offer and getting to meet and hang out with each other. I’ll start with the amazing room. 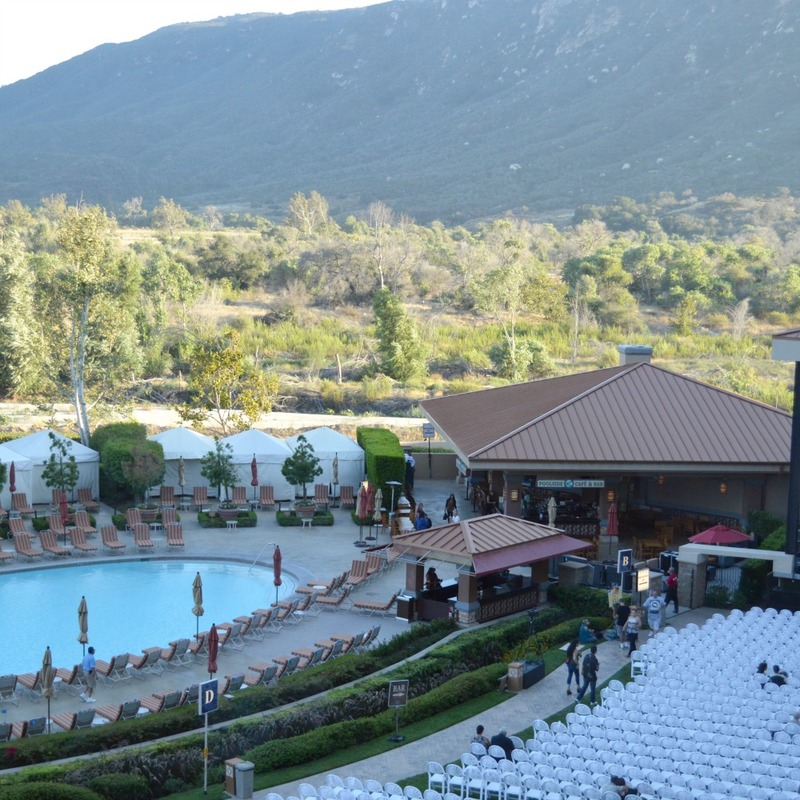 We had a deluxe room with a gorgeous view of the pool, the outside stage, and the stunning mountains! I could’ve sat and enjoyed the view all day! 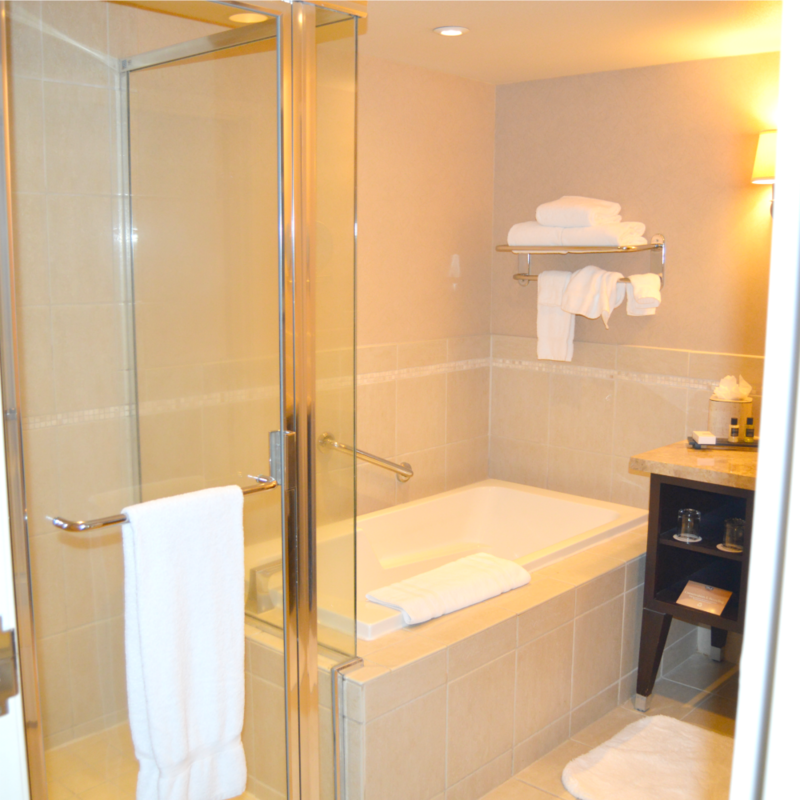 The room was impressive with all the amenities, including a bathtub that I was sorry I didn’t get a chance to try out! 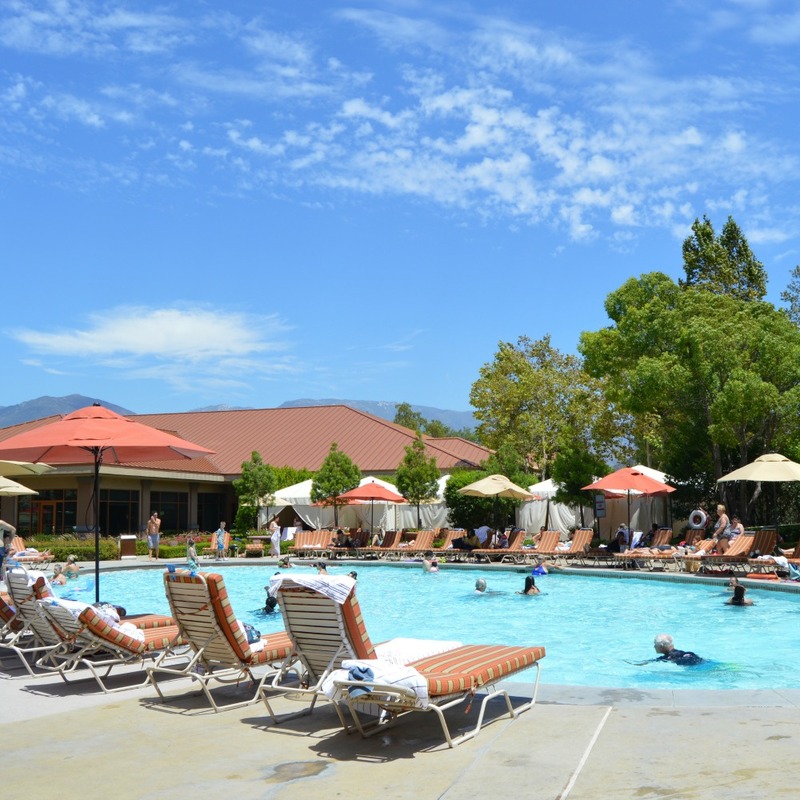 The Pala Resort boasts ten different restaurants. 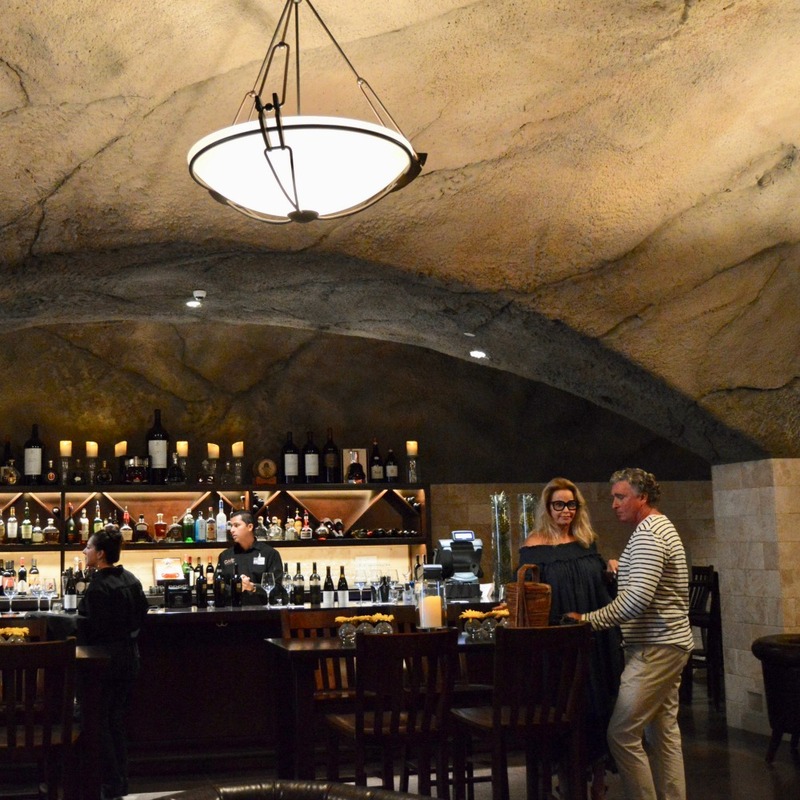 We had the pleasure of taste testing at The Oak Room and the Wine Cave. 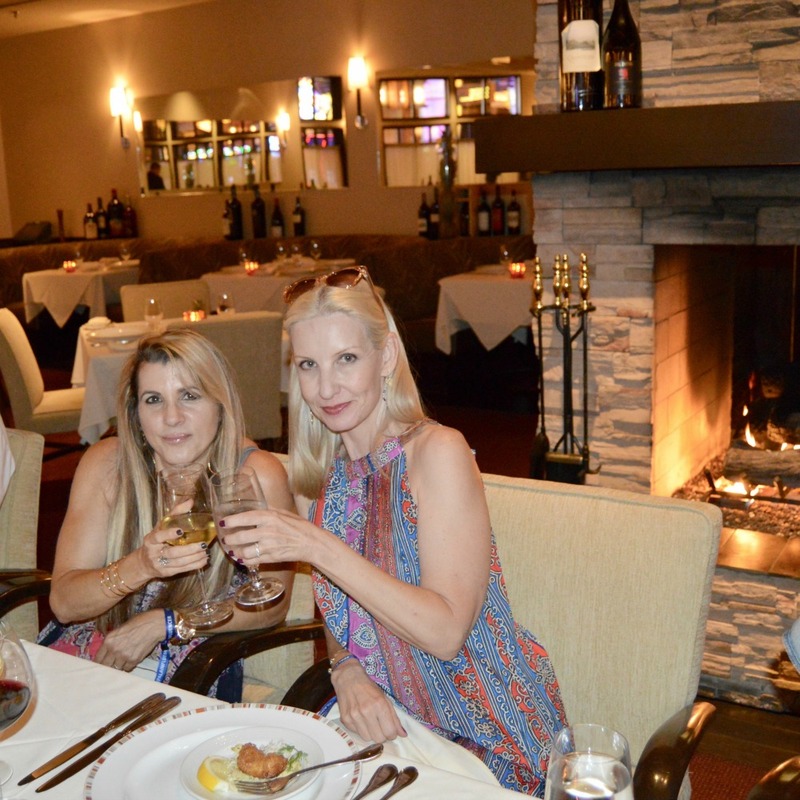 The food is very high quality and tasty and the knowledgable staff will help you pair dishes with wine. And the atmosphere is charming and romantic! A large lavish pool invites a refreshing dip and pretty lounge chairs invite some loafing around! There’s also a spa where a knowledgable staff is happy to share their knowledge of skin care, along with giving spa treatments. 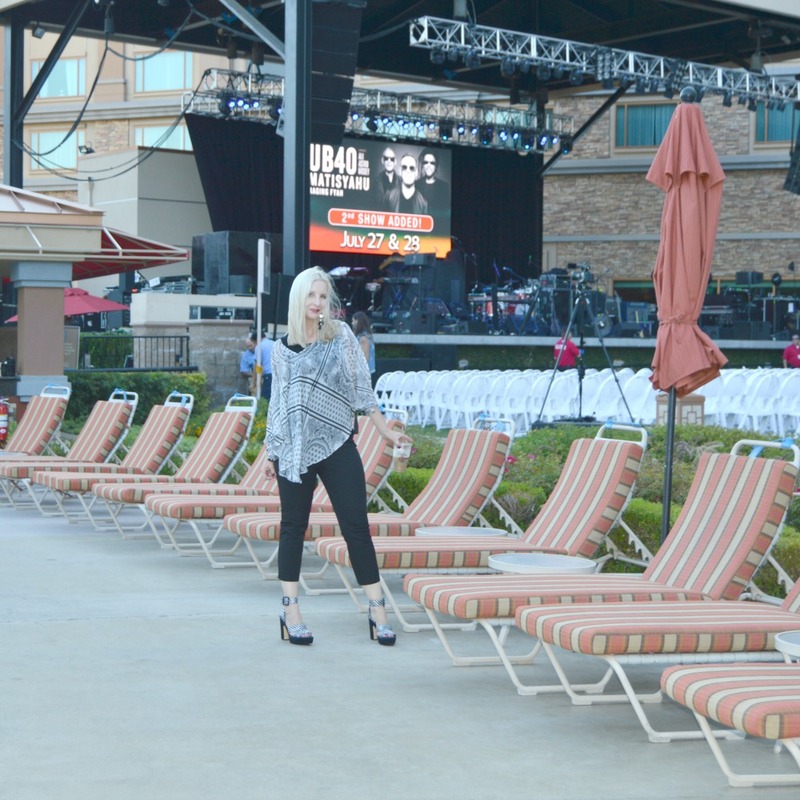 The outside stage was a fabulous place to enjoy a concert! With the sun setting and the mountains in the background, I can’t think of a better place to experience some live music. We saw a very impressive reggae themed show, inlcluding Raging Fyah, Matisyahu, and UB40. And of course there was a fun casino, full of all the gaming you could want! Planning a big event? The resort has a hall of beautiful conference rooms. I also think I spotted a very pretty little grove, perfect for a wedding! Even though everything was wonderful, the biggest standout to me was the service we received! Everyone was so nice and helpful, from the desk clerk to the restaurant staff, from the security guard to the events coordinator, we really couldn’t have felt more welcomed and taken care of. It’s always exciting to meet other bloggers. 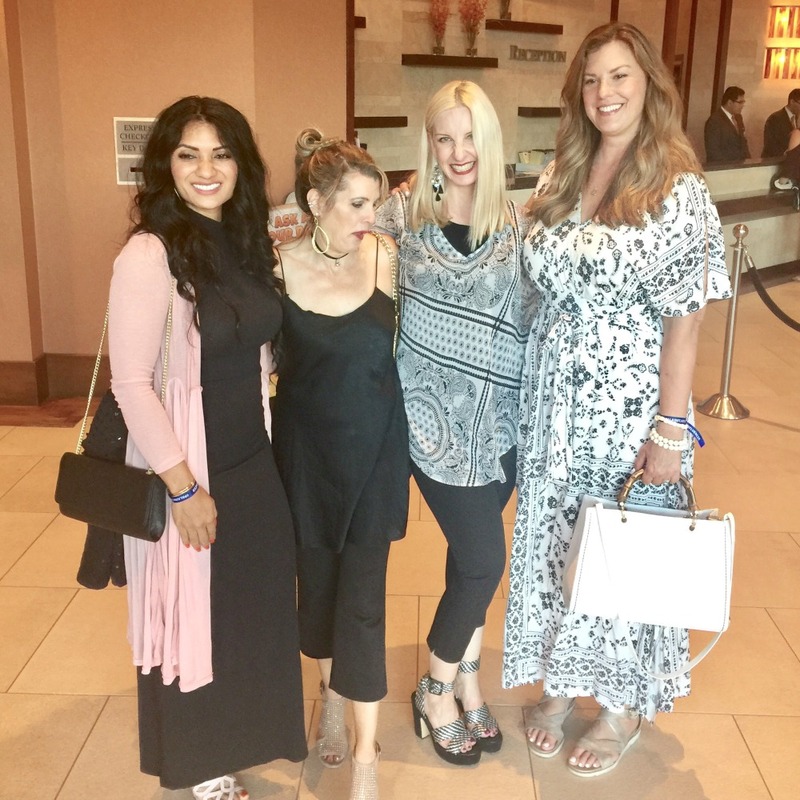 I finally got to meet Adrienne or The Rich Life in Wine Country and Tamera Beardsley after following their blogs for years, as well as connecting with Debbie of To Thine Own Style Be True and Evelyne of Everything Evelyne. I wish I had had more to time to talk to and meet everyone! And a huge thanks to my buddy Rachel for going along for the ride, for being so fun, and for being such a good sport about taking so many photos! Did you get a chance to follow my Instagram stories during our stay? I got several nice messages from followers who really enjoyed experiencing the resort with us that way. If you have any specific questions, please feel free to reach out to me. Just like with the clothing and other products I post about, I’m always more that happy to answer questions and give more information! Check out the Pala website here. 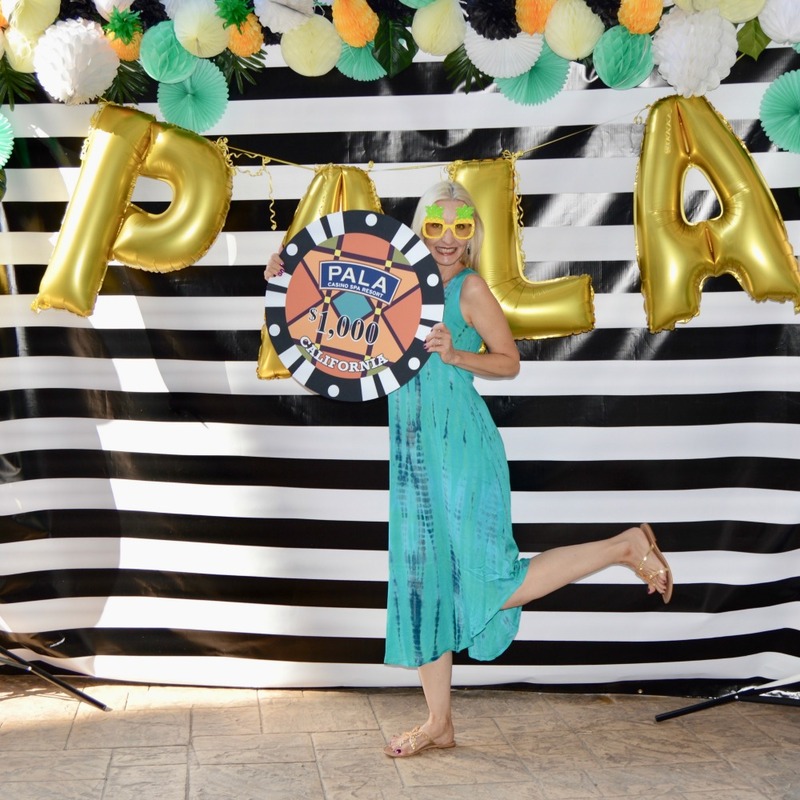 And a big thanks to Pala for hosting this fun get-together! Like the outfits you see me wearing in these shots? 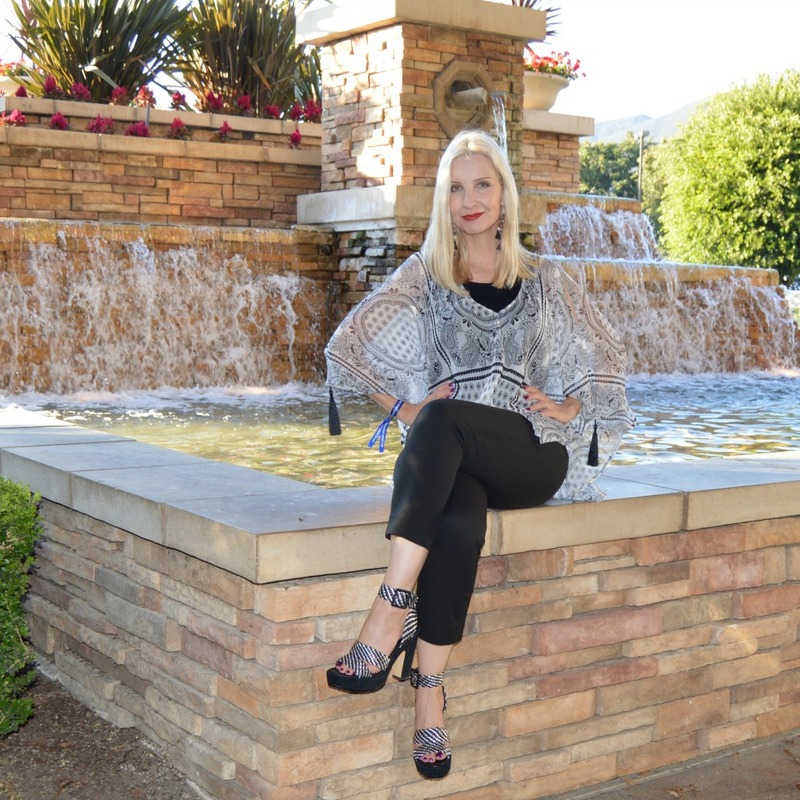 Here’s the first outfit post, and the second, with one more to come! Pala hosted this event. All opinions are all my own as always. What a fun time, Dawn!!! Such a beautiful place! Looks you had so much fun! I really did! Thanks, Rachel! Pala looks and sounds like a fabulous place! 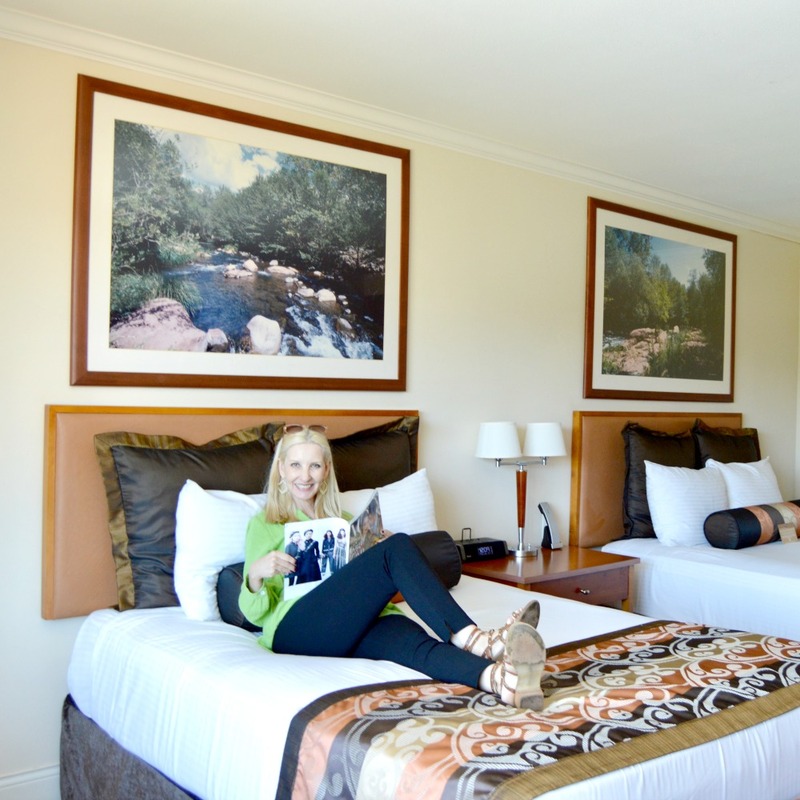 It seems to be the perfect mix of fun and relaxation… And how great that you got to meet Adrienne & Tamera in person! It seems a really amazing place. Nice experience my dear!!! 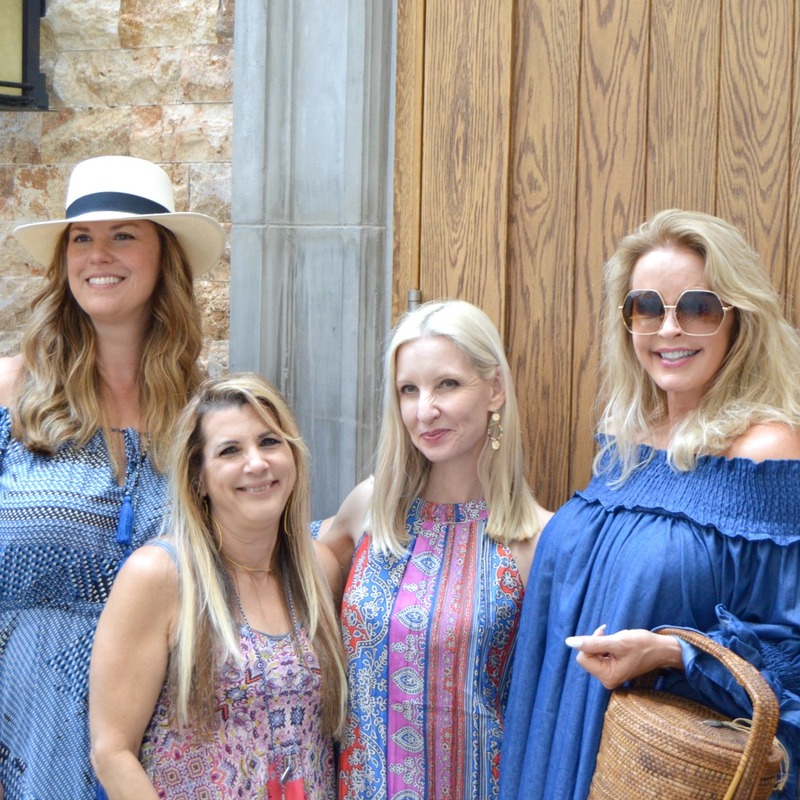 Wow, I didn’t realize that Adrienne was so tall! Or is everyone else petite??? Looks like a fab place!